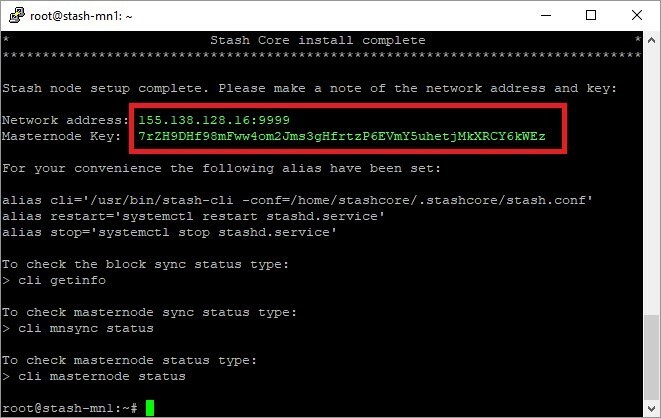 This guide will take you through the process of installing a Stash masternode. 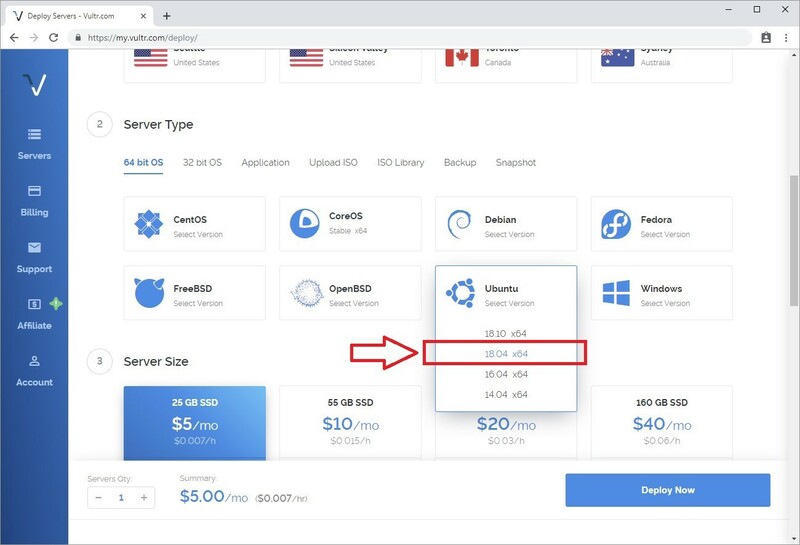 VPS running Ubuntu 18.04 with 1GB RAM (required to be running 24/7). 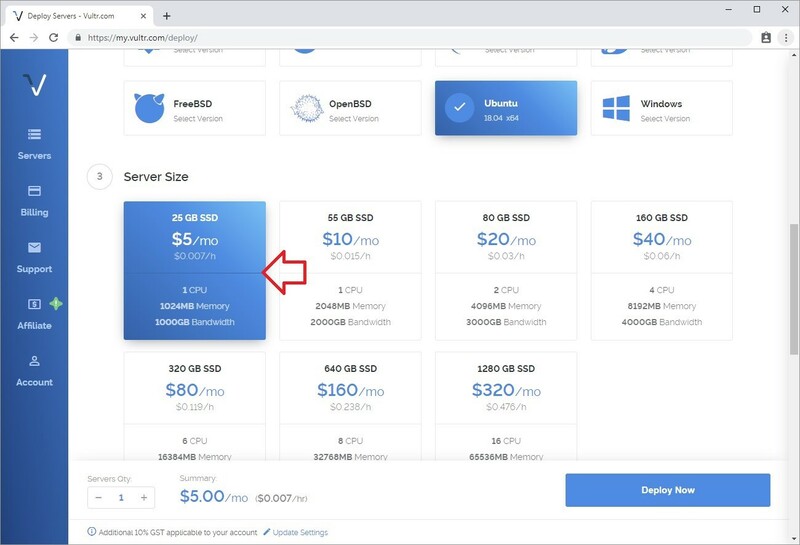 We will first setup a Virtual Private Server (VPS) which is basically a computer in the cloud capable of running a masternode 24/7. Next we prepare the 10,000 STASH collateral. We will be using a hot/cold wallet approach. 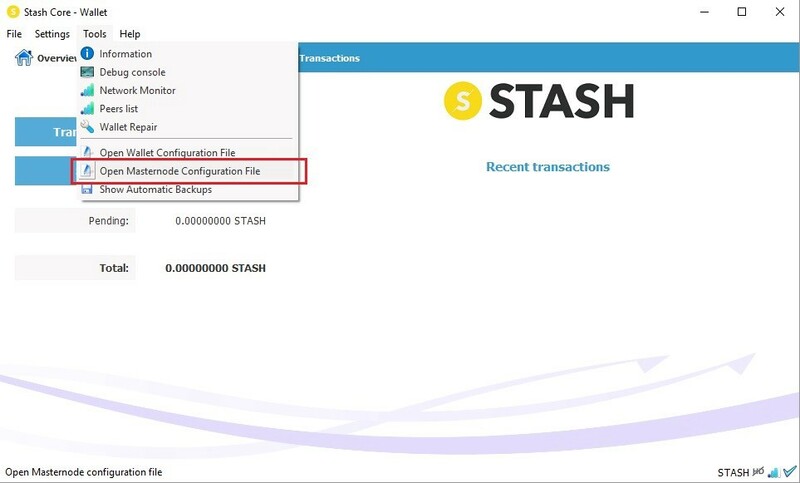 This means that our masternode wallet (hot wallet on the VPS) does not hold any funds, instead we store the collateral 10,000 STASH on our local PC wallet. 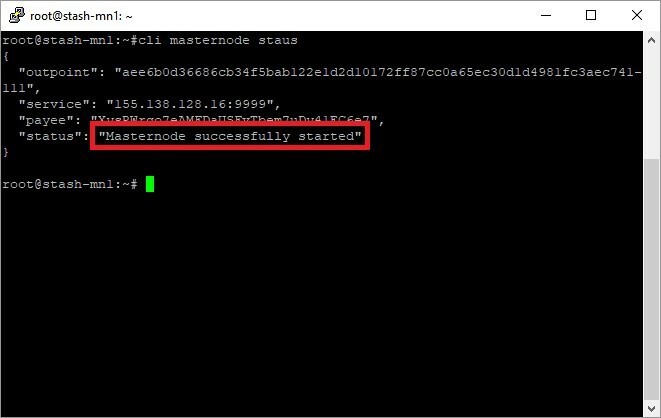 Lastly we will bring the masternode VPS online by issuing a start command from the local PC wallet. 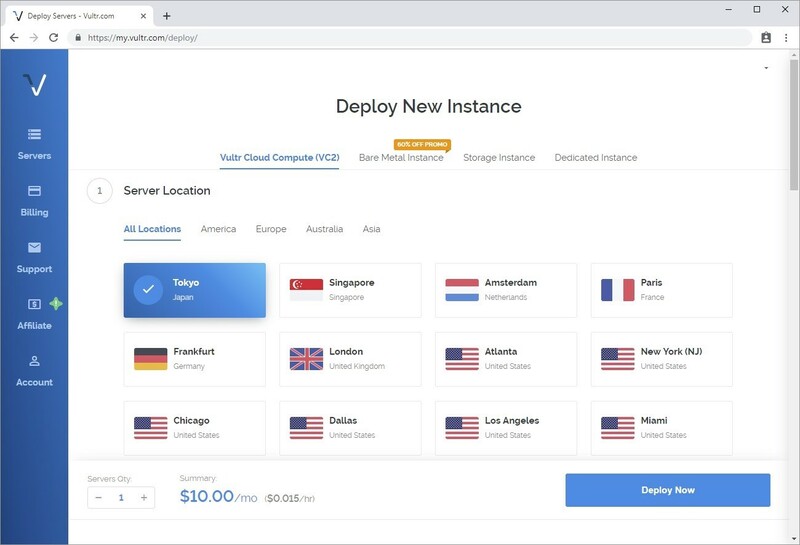 Create an account at Vultr. Please note the link includes a referral code that gives $50 free credit to new users at the time of writing. 2. Server Location — choose your preferred location. 5. Deploy the server — Leave Additional Features unchecked. Leave Startup Scripts. If you are an advanced user it is recommended to use an SSH key, if not skip SSH Keys. 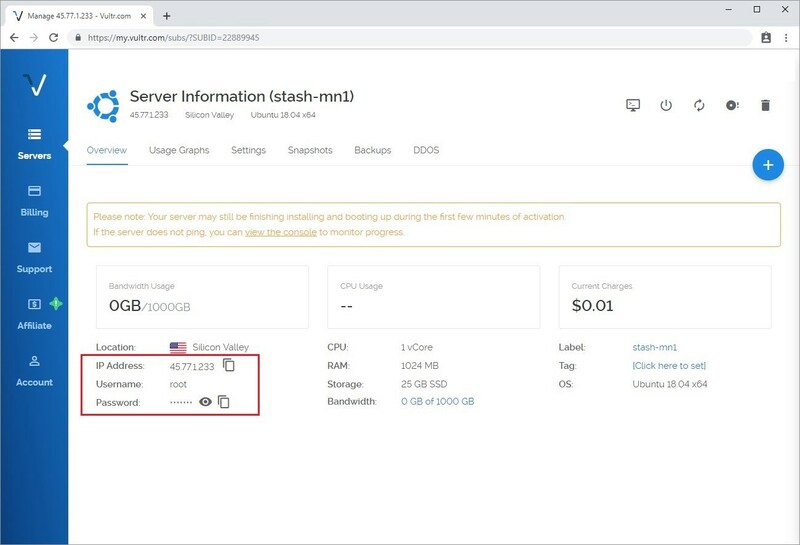 Server Hostname & Label can be set to anything you like, in this example we name our masternode stash-mn1. Set the label the same as the hostname. 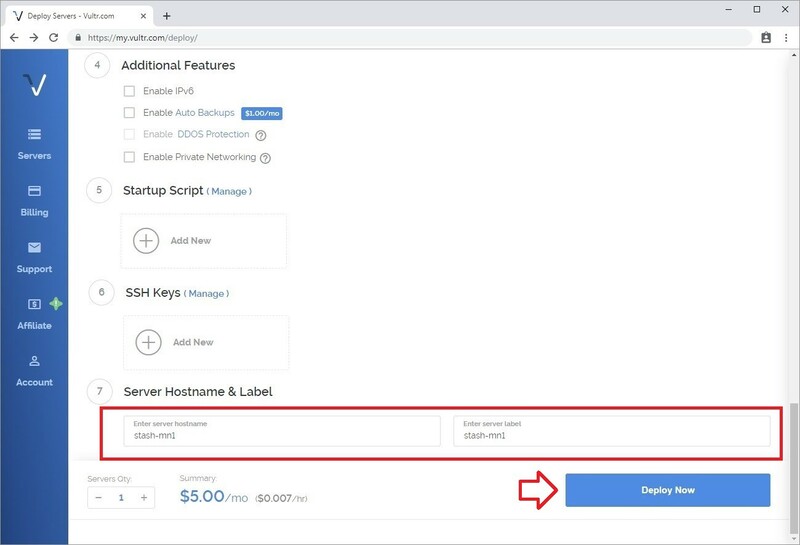 Click the deploy button to deploy the server. 6. Installation — The server will now be deployed. This may take some time while the operating system is automatically installed. 9. 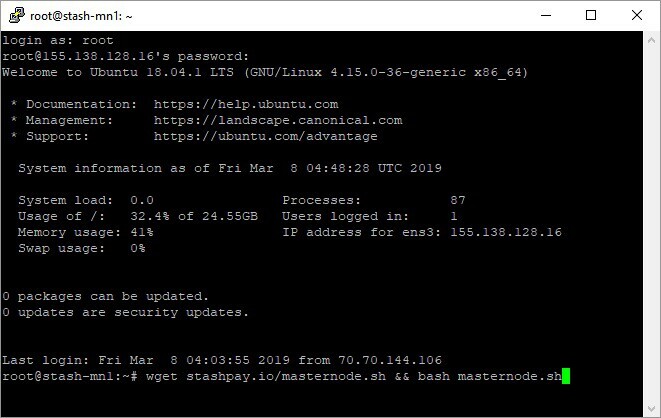 In this next section we will connect to our masternode from our local PC using ssh to finish the VPS setup. This step will be different depending on which operating system you use on your local PC. 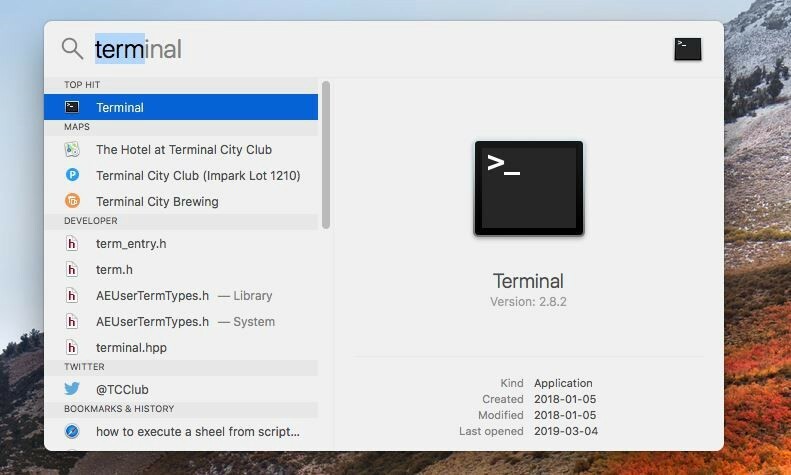 Open a new terminal by going to spotlight (by pressing ⌘ + Space bar) and search for terminal and press enter. Unfortunately Windows does not have a ssh client installed by default. 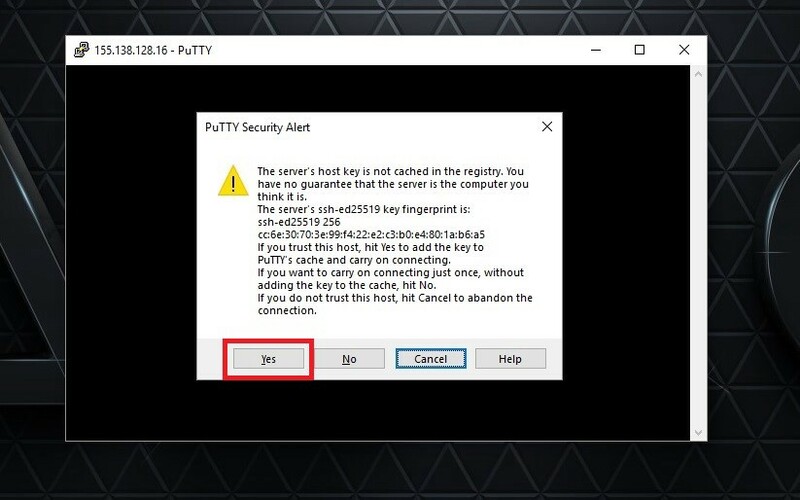 We need to install a program called Putty that will allow us to connect to the masternode (VPS). 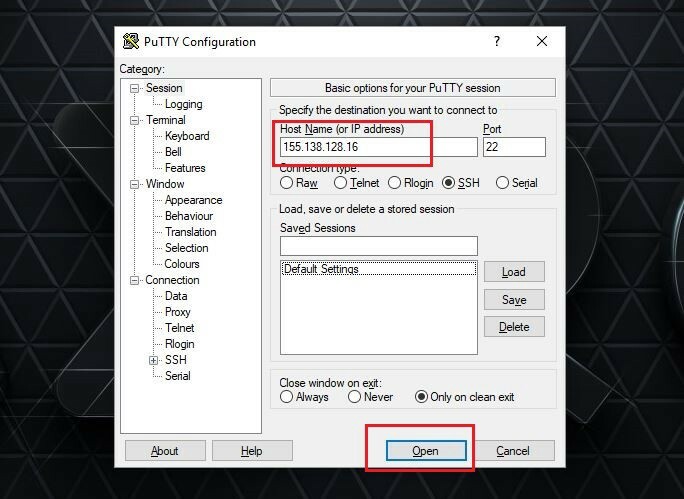 Now that Putty is installed connect to the VPS using the IP address obtained from step 8. Enter the IP address and click Open. 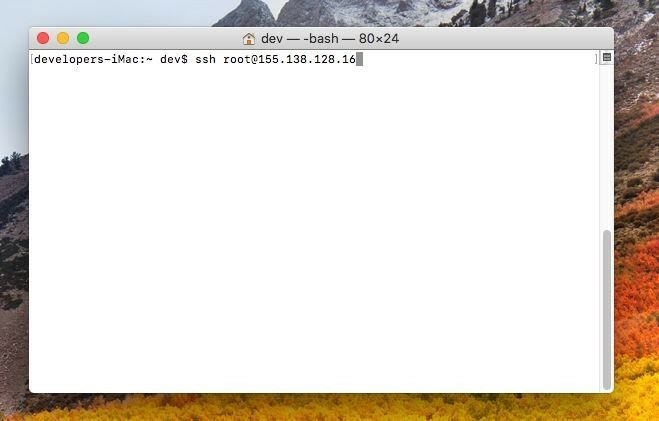 Login using your user name (root) and your VPS password from step 8 above. Copy your password from step 8. 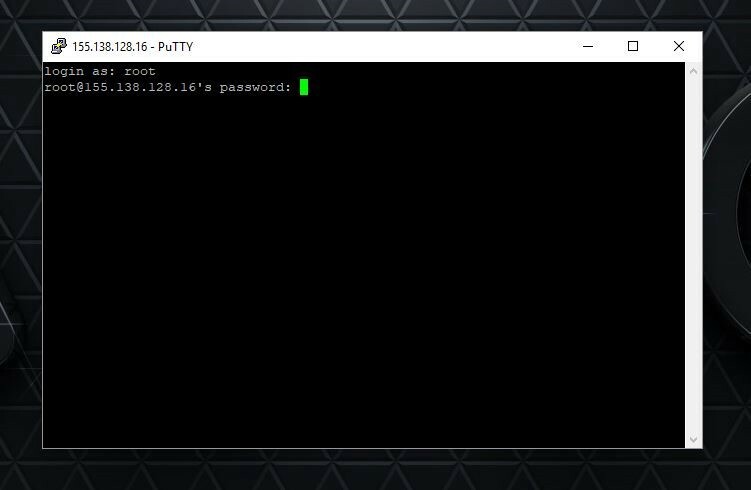 Right click the mouse on the terminal window to paste the password (it will appear that nothing has happened because the terminal hides the password — just press enter after right-clicking once). 10. 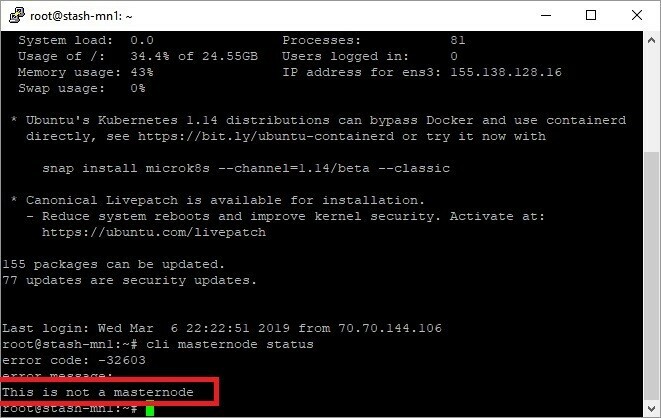 Run the masternode install script on the VPS. 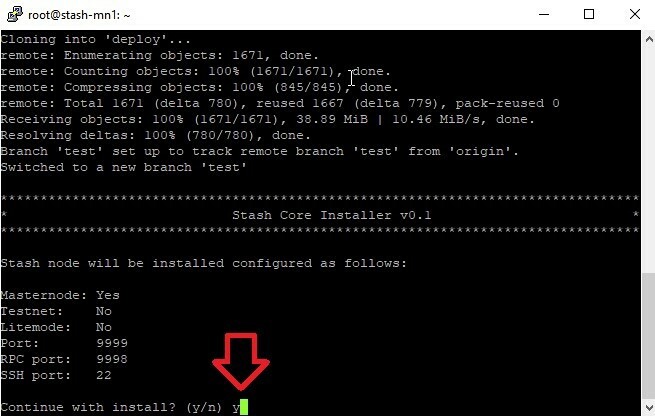 This will automatically install and configure Stash to run as a masternode. This script will take some time to run while it downloads and installs additional components (zksnark parameters used for shielded transactions). 10. When the script finishes it will display some import info that we need for later. 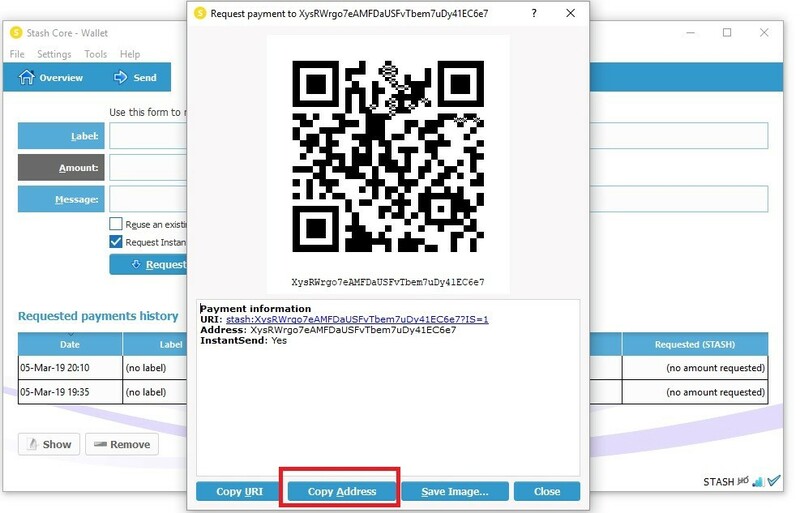 Copy (by highlighting in Putty and right clicking the mouse) the Network address and Masternode key and save them to a notepad file or word document. Press ctrl-c to exit the watch command. This completes the VPS setup. You can close putty and move on to preparing the collateral. 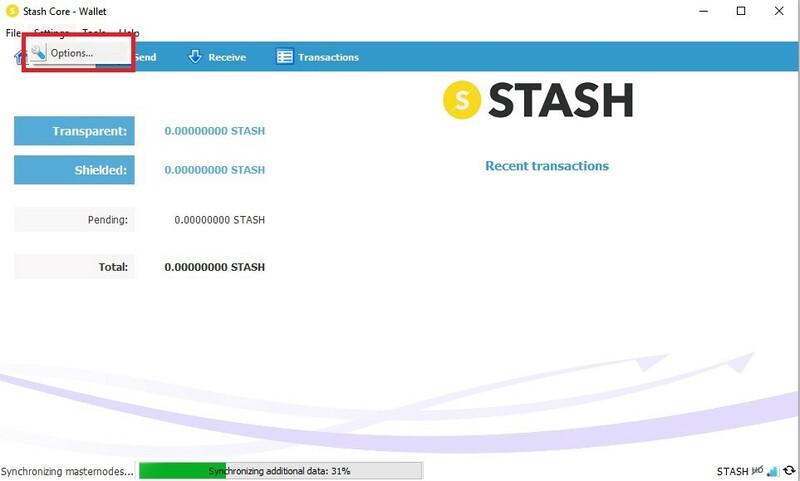 In order to run a masternode we need to prove that we that we hold 10,000 STASH in a single address in our wallet. Follow the steps bellow to ensure your wallet is setup correctly. 5. Copy the receive address — click Copy Address and Close. 6. Send Collateral — click on the Send tab. Copy the address from step 5 above and paste it in the Pay To box. In the amount enter exactly 10000. 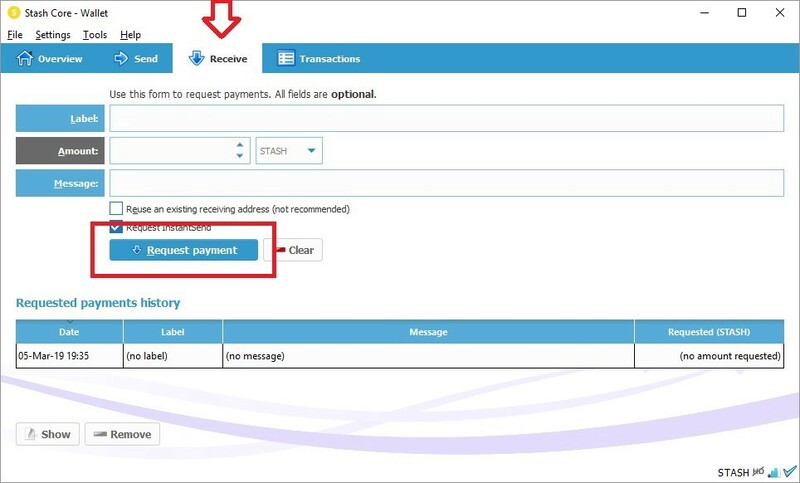 Make sure Subtract fee from amount is unchecked. Make sure InstantSend is unchecked also. Click Send and wait about 10 minutes while the transaction confirms. 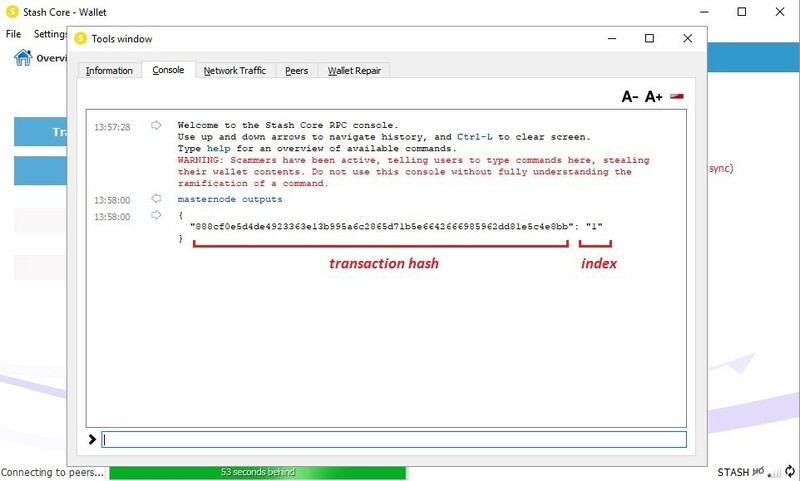 Copy the transaction hash and the index number. Close the console. 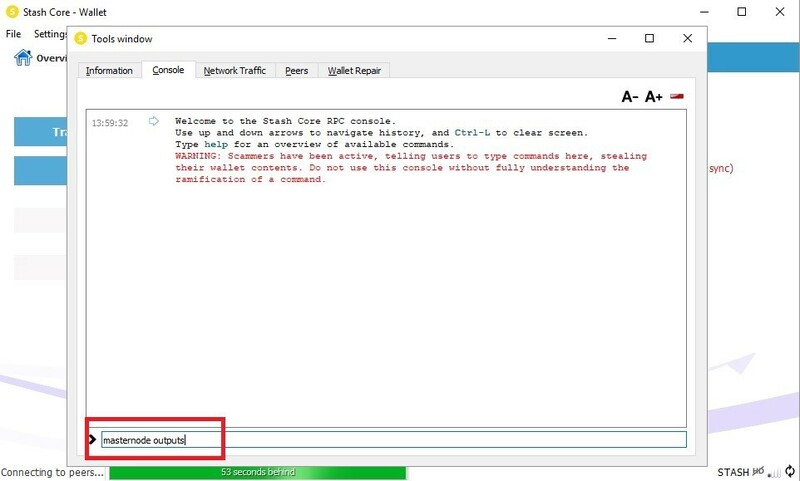 network address — get this information from Part A) Step 10.
transaction hash — get this info from step 7 above. index — get this info from step 7 above. Ensure that there there is a space between each value and remove any quotation marks. 10. 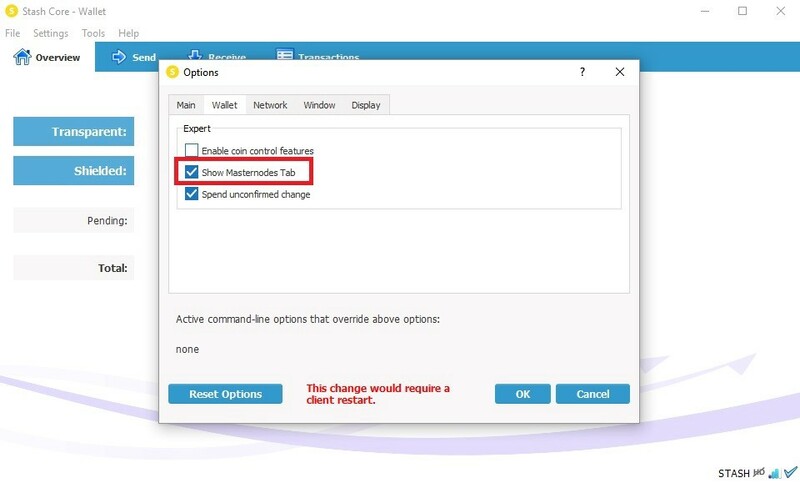 Ensure Show Masternodes Tab is checked. Press OK.
11. 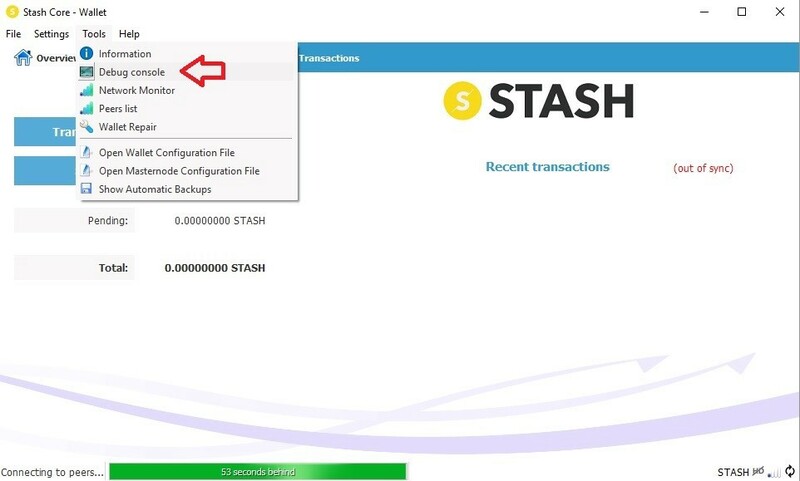 Close and restart Stash Core Wallet. 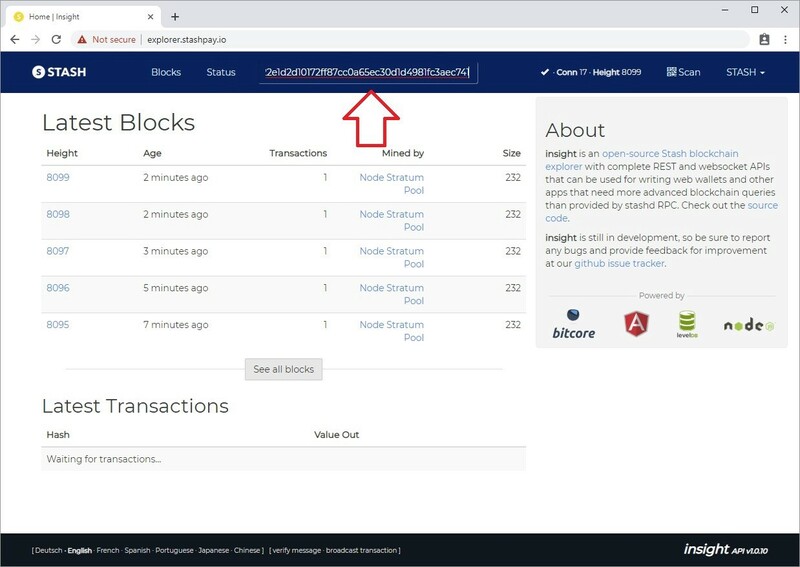 Go to the Masternodes tab. 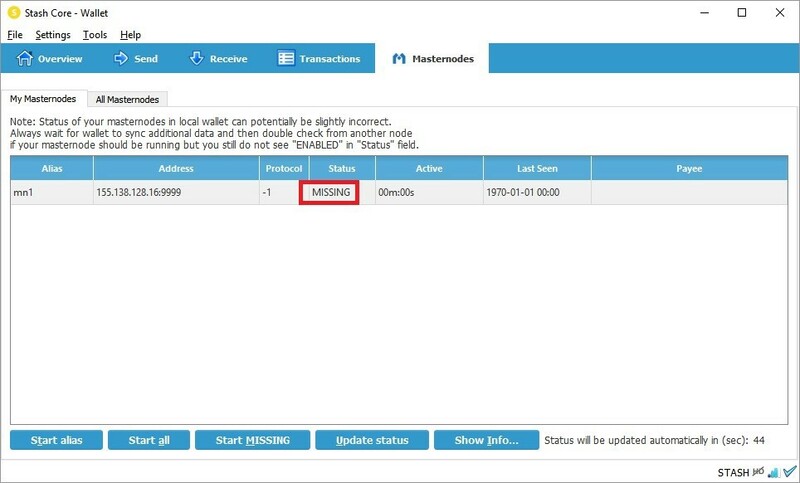 There should be a masternode with Status MISSING. 12. 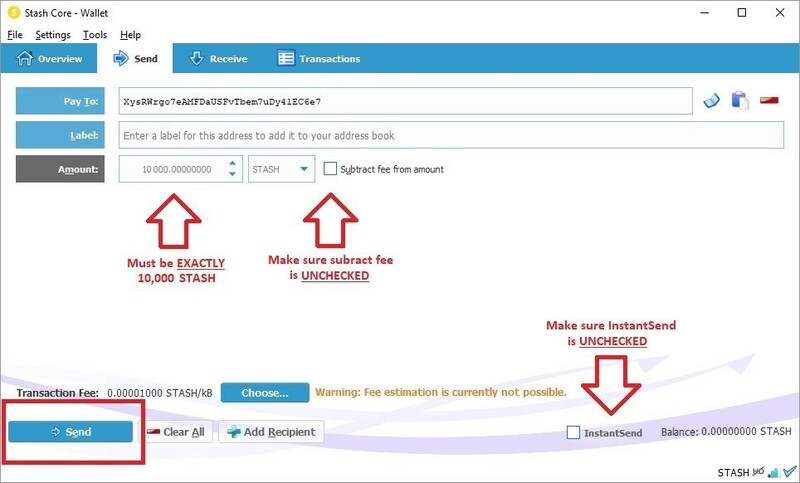 Enable the masternode — To start the masternode our 10,000 STASH collateral transaction must have at least 20 conformations. We will check this on the Stash Explorer. 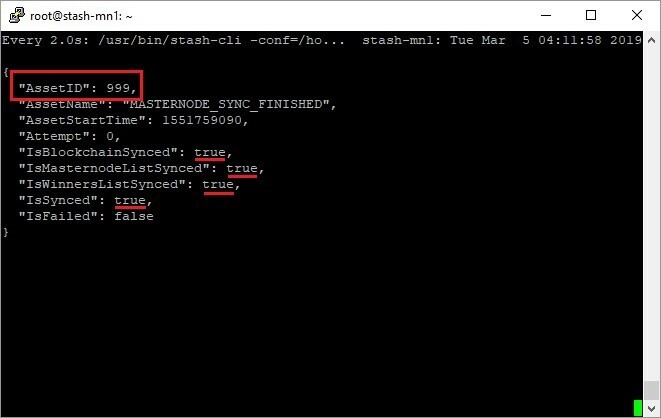 Copy your masternode output transaction hash from 7) above (just the hash with no quotation marks, not the index). 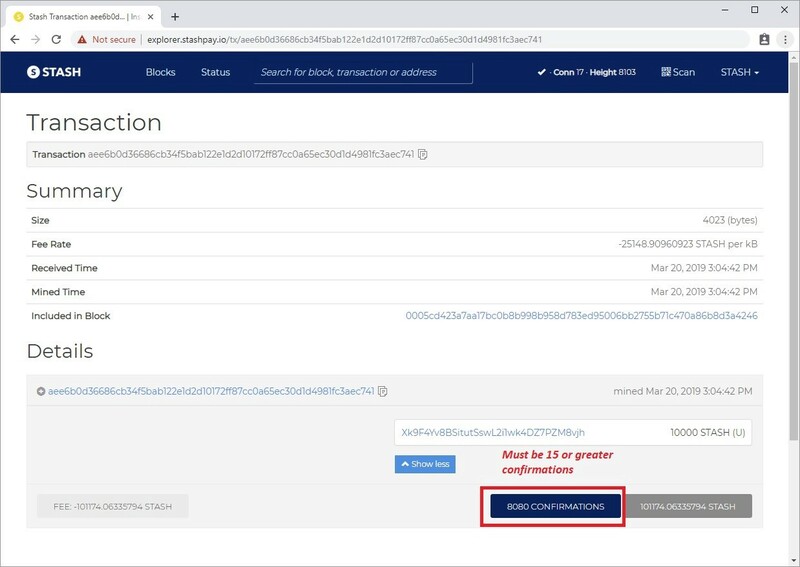 Check to make sure the transaction has at least 20 confirmations. This should take on average 20 minutes but may be more or less. You can press refresh to periodically update the page. Eventually your node status should say ENABLED. If you have reached this point congratulations you have successfully stated your masternode and will be placed in the masternode queue. 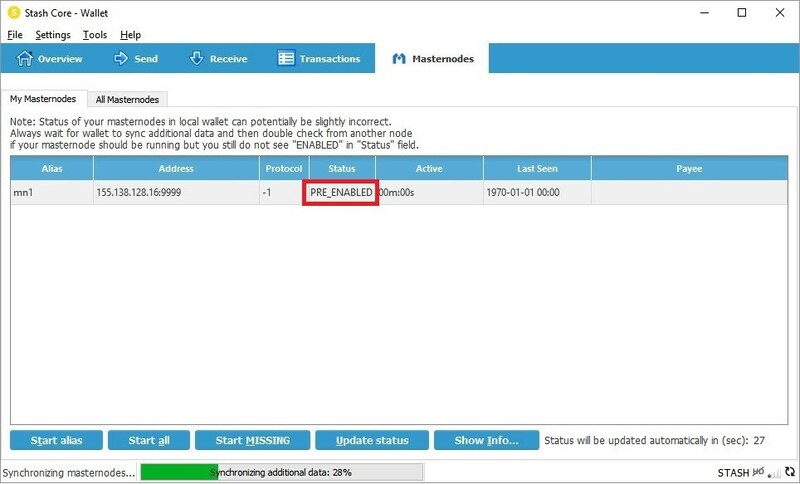 If you you receive “This is not a masternode” error message something went wrong in Part A). Ensure that your masternode is synced properly. Ensure that AssestID is 999, if the AssestID is less that 999 you need wait longer before pressing the “Start MISSING”. Originally published at medium.com on June 2, 2018.